Klaus Kaestner, Ph.D., professor of Genetics and postdoctoral fellow Dana Avrahami, Ph.D., from the Perelman School of Medicine, University of Pennsylvania, published a study online in the Journal of Clinical Investigation, with colleague Benjamin Glaser, M.D., from the Hadassah-Hebrew University Medical Center, Jerusalem, and colleagues. In this study, they were able to replicate human pancreatic beta cells – the cells in our body that produce the critical hormone insulin – in a mouse model in which donor cells were transplanted. The newly replicated cells retained features of mature beta cells and showed a physiological response to glucose. The results of this proof-of-principle experiment have implications for helping both type 1 and type 2 diabetic patients. In type 1 diabetes, beta cells are destroyed by the patient's own immune system and thus restoration of their numbers must be coupled with a method of preventing immune-mediated destruction. Similarly, a decrease in the number of functional insulin-producing beta cells contributes to the development of type 2 diabetes, so in principle, restoration of beta-cell mass can reverse or ameliorate both forms of diabetes. The idea for this study came from newborns with a well-characterized, but rare, condition called hyperinsulinism of infancy, in which beta cells produce too much insulin – the exact opposite of diabetes. The blood sugar levels in these babies are too low. In about one-third of these newborns, most of their pancreatic beta cells are normal, but a small portion of cells lack a specific protein called p57, due to a mutation that occurs in a single or a few beta cells during fetal development. As scientists forecast the impacts of climate change, one missing piece of the puzzle is what will happen to the carbon in the soil and the microbes that control the fate of this carbon as the planet warms. Scientists studying grasslands in Oklahoma have discovered that an increase of 2 degrees Celsius in the air temperature above the soil creates significant changes to the microbial ecosystem underground. Compared to a control group with no warming, plants in the warmer plots grew faster and higher, which put more carbon into the soil as the plants senesce. The microbial ecosystem responded by altering its DNA to enhance the ability to handle the excess carbon. “What we conclude from this study is the warming has an effect on the soil ecosystem,” said Dr. Kostas Konstantinidis, an assistant professor who holds the Carlton S. Wilder Chair in Environmental Engineering at the Georgia Institute of Technology. “It does appear that the microbes change genetically to take advantage of the opportunity given to them.” The study was published online on December 27, 2013, in the journal Applied and Environmental Microbiology. The research was sponsored by the Department of Energy, and involved collaboration with several universities, including the University of Oklahoma. The findings are the culmination of a 10-year study that seeks to understand how the most intricate ecosystem in nature — soil — will respond to climate change. A single gram of soil is home to a billion bacterial cells, representing at least 4,000 different species. In comparison, the human gut is home to at least 10 times fewer different species of bacteria. Scientists have little idea what microbes in the soil do, how they do it, or how they respond to changes in their environment, Dr. Konstantinidis said. The first clinical trial of a gene therapy for an inherited cause of progressive blindness called choroideremia has shown very promising initial results which have surpassed expectations of the Oxford University researchers leading the study. The aim of the study was to get the gene therapy into the cells in the retina of the eye without causing damage. After six months, however, the patients actually showed improvements in their vision in dim light and two of the six were able to read more lines on the eye chart. A total of nine patients have now had one eye treated with the gene therapy in operations at the Oxford Eye Hospital, part of the Oxford University Hospitals NHS Trust. The therapy is given in one eye to allow comparison with progression of the disease in the other eye. The first patient to be treated, Jonathan Wyatt, 65, says: “My left eye, which had always been the weaker one, was that which was treated as part of this trial...Now when I watch a football match on the TV, if I look at the screen with my left eye alone, it is as if someone has switched on the floodlights. The green of the pitch is brighter, and the numbers on the shirts are much clearer.” Professor Robert MacLaren of the Nuffield Laboratory of Ophthalmology at the University of Oxford led the development of the retinal gene therapy and this first clinical trial. He says: “It is still too early to know if the gene therapy treatment will last indefinitely, but we can say that the vision improvements have been maintained for as long as we have been following up the patients, which is two years in one case.” The clinical trial is funded by the Health Innovation Challenge Fund, a partnership between the Wellcome Trust and the Department of Health. Using a camera-equipped robot to explore beneath the Ross Ice Shelf off Antarctica, scientists and engineers with the Antarctic Geological Drilling (ANDRILL) Program made an astonishing discovery. Thousands upon thousands of small sea anemones were burrowed into the underside of the ice shelf, their tentacles protruding into frigid water like flowers on a ceiling. "The pictures blew my mind," said Dr. Marymegan Daly of Ohio State University, who studied the specimens retrieved by ANDRILL team members in Antarctica. The new species, discovered in late December 2010, was publicly identified for the first time in an open-access online article published on December 11, 2013 in PLoS ONE. Though other sea anemones have been found in Antarctica, the newly discovered species is the first known to live in ice. They also live upside down, hanging from the ice, compared to other sea anemones that live on or in the sea floor. The white anemones have been named Edwardsiella andrillae, in honor of the ANDRILL program. The discovery was "total serendipity," said Dr. Frank Rack, executive director of the ANDRILL Science Management Office at the University of Nebraska-Lincoln (UNL) and associate professor of Earth and Atmospheric Sciences at UNL. "When we looked up at the bottom of the ice shelf, there they were," he said. Scientists had lowered the robot, a 4 and 1/2-foot cylinder equipped with two cameras, a side-mounted lateral camera and a forward-looking camera with a fish-eye lens, into a hole bored through the 270-meter-thick shelf of ice that extends more than 600 miles northward into the Ross Sea from the grounding zone of the West Antarctic Ice Sheet. 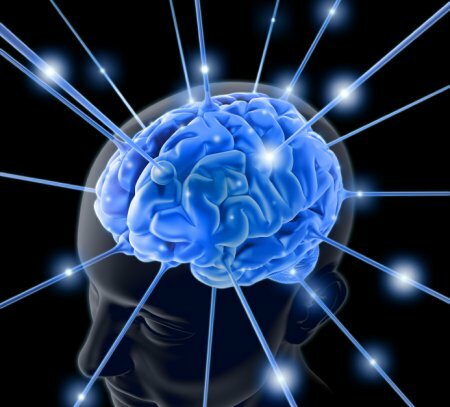 Their mission, financed by the National Science Foundation in the U.S.
A review and update of a controversial 20-year-old theory of consciousness published online on August 20,2013 in an open-access article in Physics of Life Reviews claims that consciousness derives from deeper-level, finer-scale activities inside brain neurons. The recent discovery of quantum vibrations in “microtubules” inside brain neurons corroborates this theory, according to review authors Dr. Stuart Hameroff and Sir Dr. Roger Penrose. They suggest that EEG rhythms (brain waves) also derive from deeper-level microtubule vibrations, and that from a practical standpoint, treating brain microtubule vibrations could benefit a host of mental, neurological, and cognitive conditions. The theory, called “orchestrated objective reduction” ('Orch OR'), was first put forward in the mid-1990s by eminent mathematical physicist Dr. Penrose, FRS, Mathematical Institute and Wadham College, University of Oxford, and prominent anesthesiologist Stuart Hameroff, M.D., Anesthesiology, Psychology and Center for Consciousness Studies, The University of Arizona, Tucson, Arizona. They suggested that quantum vibrational computations in microtubules were “orchestrated” (“Orch”) by synaptic inputs and memory stored in microtubules, and termed by Dr. Penrose “objective reduction” ('OR'), hence “Orch OR.” Microtubules are major components of the cell structural skeleton. Orch OR was harshly criticized from its inception, as the brain was considered too “warm, wet, and noisy” for seemingly delicate quantum processes. However, evidence has now shown warm quantum coherence in plant photosynthesis, bird brain navigation, our sense of smell, and brain microtubules.